Hi! I'm back! And settled from a week out west for work and for pleasure. First stop was San Francisco to visit family and friends which was a much needed and perfect break and then it was off to Seattle to eat candy...just kidding, to attend work meetings. I WISH it was my job to travel and eat candy. So calm, neat and pleasant! 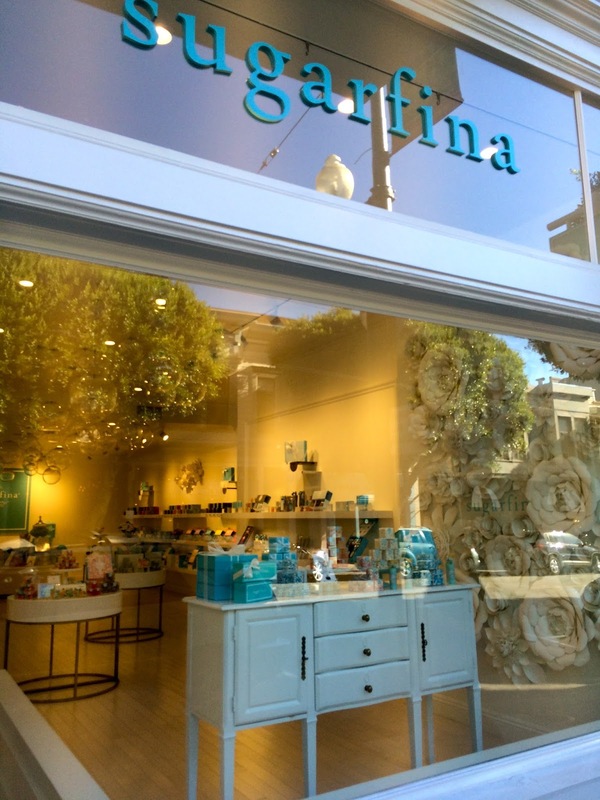 This store was beautiful and their candy is made for gift giving. Fun, stylish, classy, candy gift giving. AND they have some unique candies that are hard to find too. In the immortal words of a drunk friend "just leave me here". How great is cocktail hour?! It's such a fun gift idea for a hostess or a drinker with a sense of humor (actually what drinker doesn't have a sense of humor?) 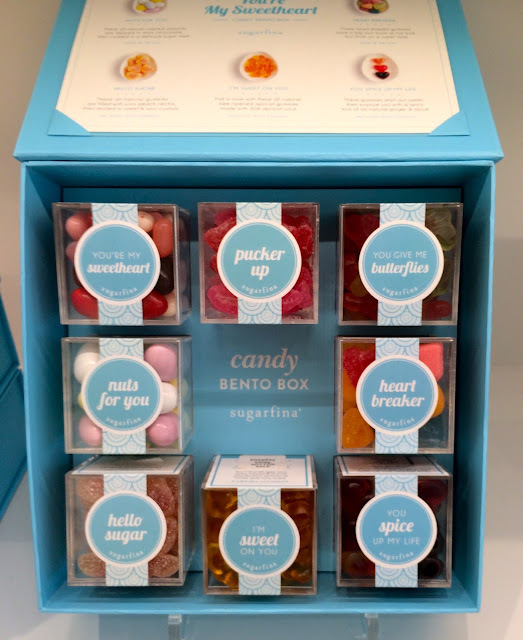 These are just a few of the gift boxes they had in their store. Their website lists many more including a custom make-your-own option. Next it was on to tasting the unique, hard-to-find candies. 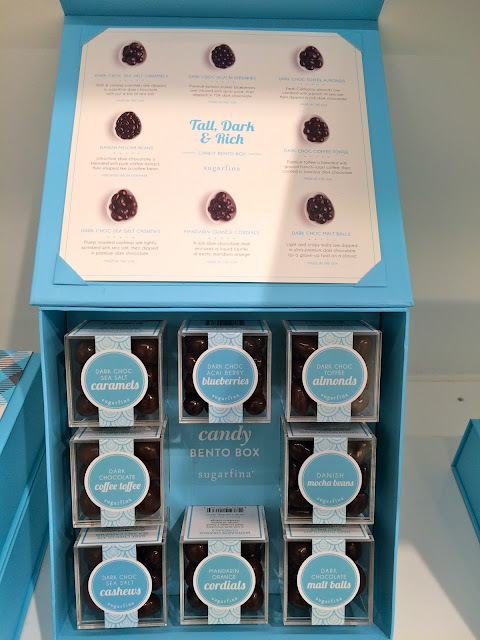 This was really hard as there were so many new ones to try (seriously, click around their site to see for yourself) and the store wasn't set up bulk candy style so I couldn't just grab a bag and pull my usual move of getting two pieces of everything new to try. The store had everything laid out in pretty little pre-filled boxes or tasting bags so you kind of have to commit to a flavor and buy the package and at $2.50-$3 per tasting bag or $7-20 per box it can add up. I settled on the champagne bears that they are known for along with birthday cake caramels because I can never say no to birthday cake flavored anything...or actual birthday cake...or frosting. I'm that person at the office bday party who smiles and nods while you're talking but I'm actually wondering if anyone will notice if I get a third second slice of cake. So the champagne bears. 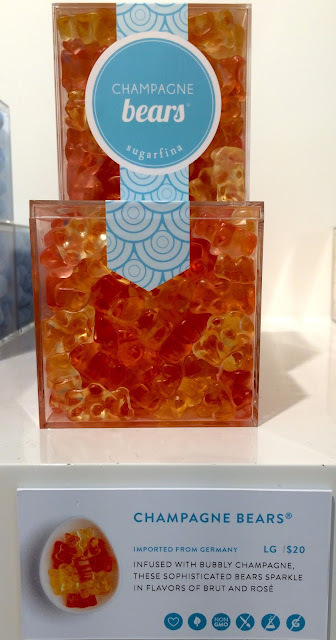 I don't know that I tasted the brut and rose that these bears are intended to taste like, but I do know that they were fruity, juicy and delicious. I realize "juicy" is a ridiculous way to describe a gummy bear but they seriously were, somehow the champagne infusion works. 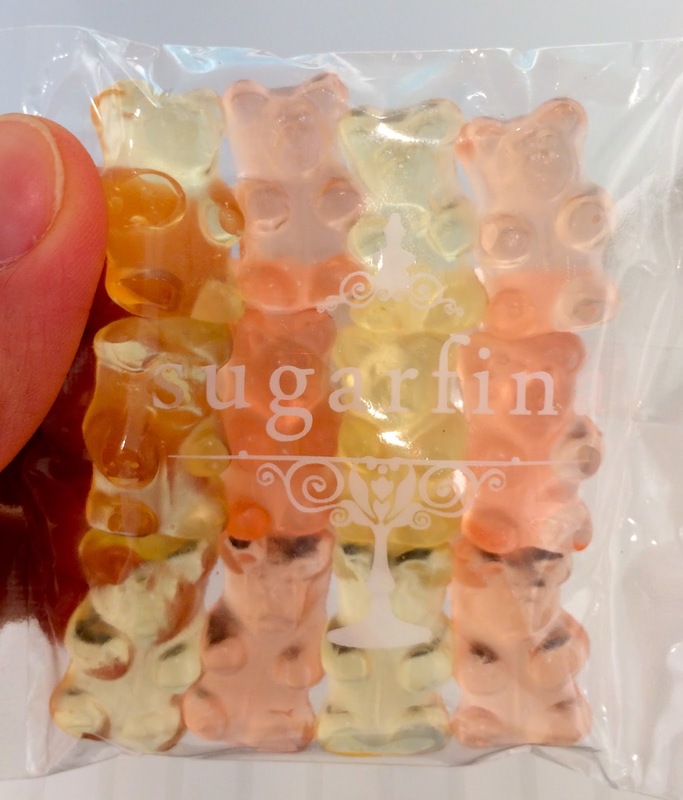 These bears are perfect for a bridal shower, baby shower, or any girly get together, really. Next were the birthday cake caramels. I prepared my mouth for these by eating dinner first and saving the caramels for dessert. After dinner is when you're good and ready for a sugary treat. That was the move to make because these freaking caramels were delicious. 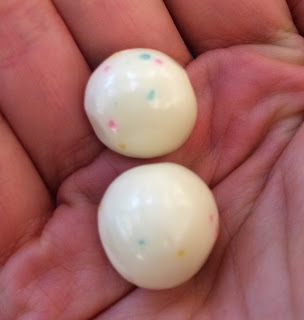 They tasted just like bites of vanilla frosting and birthday cake. They were a bday cake flavored lovers' DREAM. 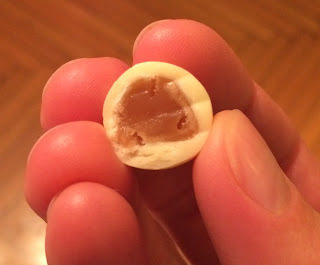 In a small effort not to oversell these caramels, I will remind you that I enjoyed them after dinner which is the optimal time for candy eating. I can't vouch that these would taste AS amazing, say, first thing the morning...but I kinda bet they would. (By the way, I can vouch for having vanilla birthday cake with buttercream frosting first thing in the morning...it's HEAVEN). Alright so you get the picture. 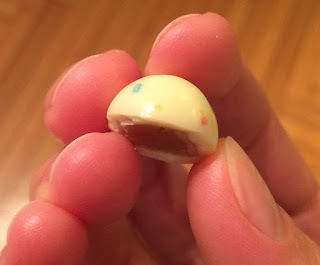 The birthday cake caramels were unreal and are available on the Sugarfina site here. Let me tease my next post by saying that I did find them at a candy store in Seattle so if you have a fancyish bulk candy store near you, then they may carry bday cake caramels too. 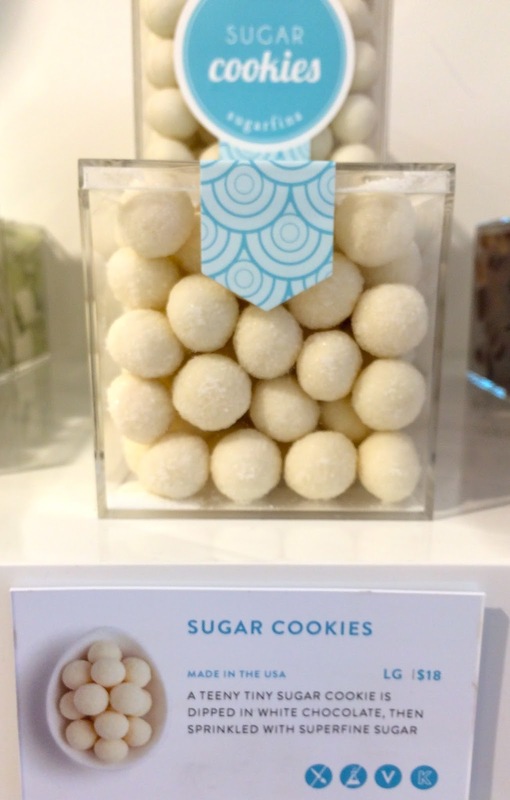 If not, you can order them from Sugarfina but they will be a tad more expensive. 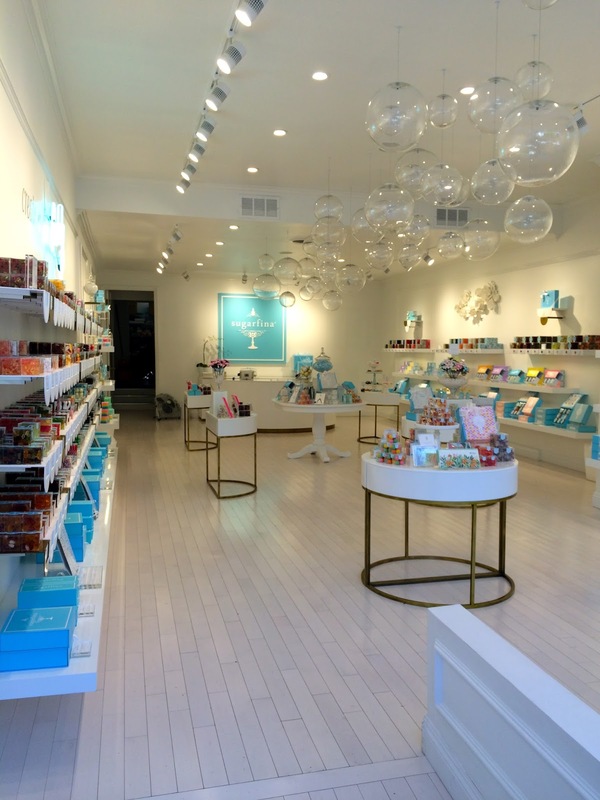 So in sum, my newly revised take on Sugarfina is that it's a great store for candy gift giving and discovering new favorites. 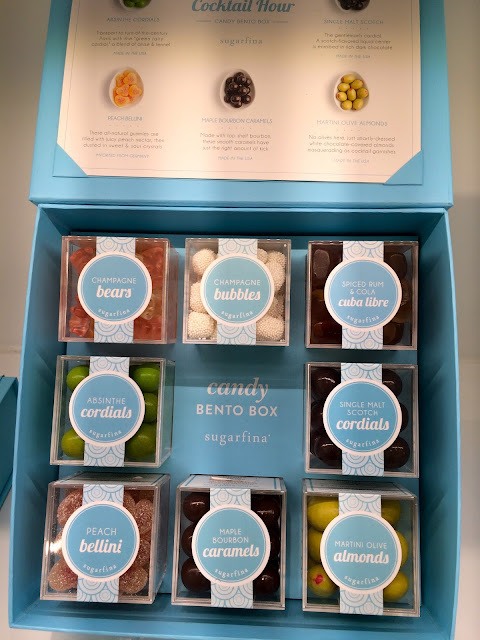 I would not recommend this store to someone who just wants to eat any old candy that you can find in a drug store or someone looking for a bulk candy bargain. Sugarfina sells unique candies that are tastefully packaged so if you do find yourself in one of their stores or shopping on their site, keep that in mind and purchase accordingly.